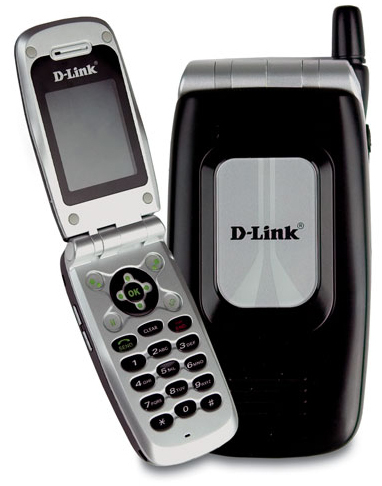 D-Link, introduces the DPH-540 Wireless G Flip-Style WiFi Mobile Phone, giving you the freedom of wireless connectivity and the benefits of Voice over IP service. Utilizing the DPH-540 and an Internet (VoIP) phone service plan can reduce telephone charges compared to standard telephone services. When used with an Internet (VoIP) phone service plan, the Wireless VoIP Telephone works like a cellular phone — no PC is required! The DPH-540 connects to your wireless network using 802.11b/g, giving you greater freedom to roam throughout your network while making phone calls. In fact, you can make calls wherever you have Internet access. The DPH-540 includes a large colorful LCM to display call information such as the numbers you dial, address book entries and caller ID numbers. The DPH-540 also supports several advanced calling features, including last number redial, mute, hold and text messaging. The DPH-540 uses Session Initiation Protocol (SIP), and is ready to use with an Internet (VoIP) phone service plan. With echo cancellation, packet delay compensation and lost packet recovery, a VoIP call over a wireless network will sound similar to regular phone service. Using the DPH-540 Wireless G Flip-Style WiFi Mobile Phone gives you the advantages of VoIP, while giving you the ability to use the freedom of wireless networking. When used with an Internet (VoIP) phone service plan, you will be able to enjoy all of the advanced features that VoIP offers.